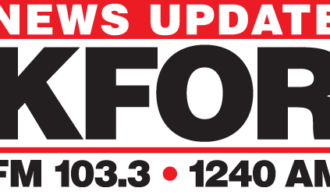 As a 25-year-old Lincoln woman remains in critical condition after being shot at her home near 2nd and Fairfield early Monday morning, a man arrested at the scene has been charged with yet another crime. Davonnis Wilkinson, 25, was shot overnight Monday at Fairfield West Apartments, according to Lincoln Police. No suspects have been arrested for the shooting, but Rashaun Jones, 27, of Lincoln was found inside the home when officers arrived, and was arrested for a domestic assault of Wilkinson that occurred on Sunday. Drug charges, including possession with intent to deliver, were brought against Jones on Wednesday, and on Thursday, Jones was also charged with terroristic threats. LPD said the incident leading to the terroristic threat charge took place between Aug. 11 – Aug. 18. Authorities said Jones accused her of cheating, displayed a hand gun, and threatened her. Each new charge brought against Jones has resulted in him being re-arrested and lodged. He is currently being held on $25,000 bond stemming from the domestic assault charge. Police say Jones has NOT been arrested for the shooting and their investigation continues.